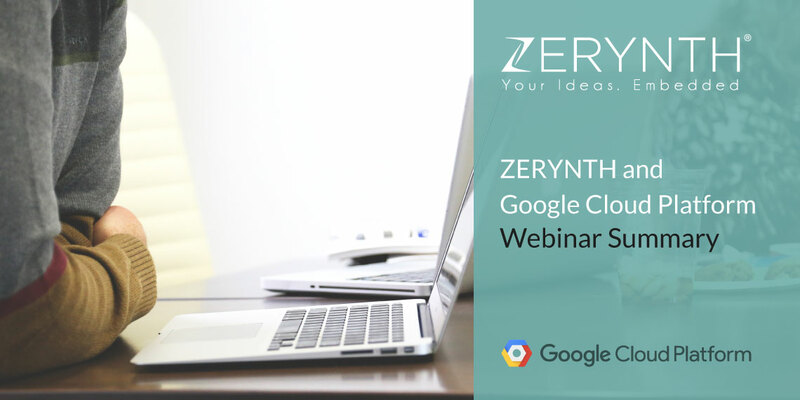 A week ago (March 22nd), Zerynth held a joined webinar with its partner Google Cloud Platform. The main topic of the webinar was how to use Python on microcontrollers to connect them to Google Cloud IoT Core. The webinar was presented by our own Giacomo Baldi, the CTO of Zerynth, and Travis Hagens, Strategic Technology Partner Manager, at Google Cloud. For everyone that didn’t make it, here is a summary of what we discussed, displayed and taught. After the initial introduction, it was time for the main event, which was a live coding session, divided into three main sections. The first one was dedicated to learning how to run multithreading Python scripts on Flip&Click – MikroElektonika’s versatile development board. Since Flip&Click is based on a 32-bit microcontroller and powered by Zerynth, programming it in Python is easy. Take a look here for a short video tutorial. Moving on to the second part, the participants had a chance to see how to read data from an environmental sensor (a Weather Click by Mikroelektronika). In the Zerynth documentation, you can find the library for BME280, the digital environmental sensor manufactured by Bosch and mounted on the Weather Click. You can learn more about the advantages of Google Cloud IoT Core services visiting their official page. The service is free to try out. In case the summary got your attention, and you realized you wanted to participate, don’t worry, you can still watch the webinar for free. Download Zerynth Studio and give programming 32-bit microcontrollers in Python a try. After all, there is no time like the present.